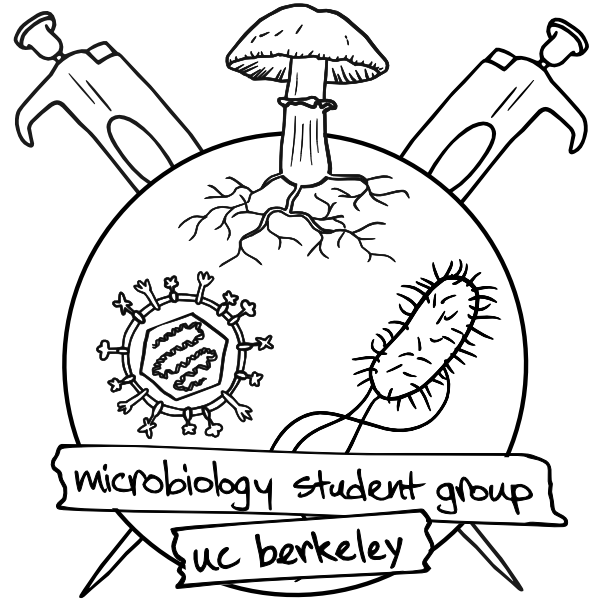 We are an interdepartmental collection of students within the graduate group in microbiology (GGM) at UC Berkeley who share a common interest in microbiology. We meet once a month and hold an annual symposium to celebrate microbiology graduate research. We also maintain a campus and community-wide presence through events like Cal Day which enriches our grad school experiences through outreach. Our doors are open to anyone with an interest in microbiology. Join our mailing list to find out about upcoming meetings and events! We want to hear your ideas!